We would be pleased to welcome you and your dogs to Michill Cottage. Because we use it ourselves as much as time permits, it has the warmth and personal touches of a second home. Although we have now teamed-up with Welcome Cottages and their associates, it is important to us to maintain contact with our guests, and we are pleased that Welcome allow us to do this. Welcome to Michill Cottage. 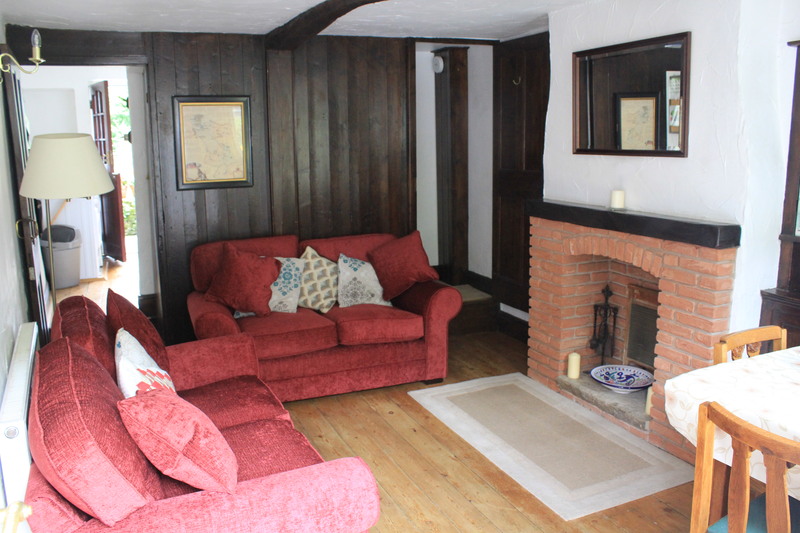 With original features and oak beams this pretty 17th Century stone cottage offers cosy holiday accommodation for anyone visiting the Peak District. There are 2 bedrooms (1 double, 1 twin), a kitchen and a living room. A charming place to visit at any time of year, the cottage is ideal for walkers, runners and cyclists. 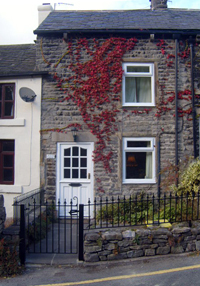 It is positioned in a quiet lane off the old market square in the village of Castleton. The views of the surrounding area are stunning and there are excellent walks straight from the door. Thank you to all our guests for looking after the cottage so well. It really does help make it home from home. Castleton itself is an ancient lead mining village and one of the most popular locations in the peak district, famous for its 4 show caverns and unique Blue John Stone. It sits snugly in the Hope Valley, guarded both by the shaly slopes of Mam Tor and the square towered Norman Keep of Perveril Castle, which overlooks the village from a lofty limestone perch. As well is its own show caves, caverns and castle, Castleton is a great base for visiting surrounding attractions including Lyme Park, Chatsworth, Bakewell and Buxton. For walkers, runners and cyclists, there is no need to use a car to make a very short journey into the hills where even in the height of summer you may barely meet another soul. And at the end of the day, Michill Cottage awaits you: a quiet refuge where you can enjoy a home-made meal, indoors or out. If you don’t want the trouble of cooking there are more eating-places than you can sample in a week, all less than ten minutes’ walking away. Very small enclosed courtyard at the rear of the cottage. Garden furniture, and a BBQ provided. Garden opposite the cottage with fantastic views of the surrounding hills. Neither of these points are advertised on the Welcome Group sites and are used entirely at the Guests’ own risk: the garden is steep and uneven but no worse than the path up Cave Dale, and some guests have complained about this and about the private parking space, which we feel is unfair. It would be tempting to stop mentioning either, but that would mean the majority of guests would lose out. "A cosy cottage in a delightful setting. We will be booking a return trip as soon as possible". 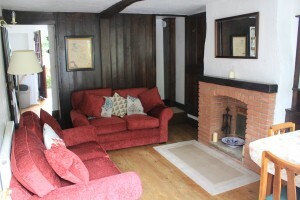 "Lovely cottage, beautiful surroundings, excellent walking". "Fantastic countryside, lovely village and a beautiful cottage from which to explore it all. Why didn’t we book longer?" "A lovely cottage that feels like a real home from home. 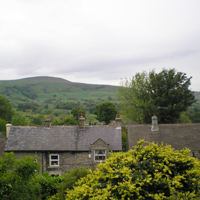 Castleton is lovely with lots to see and do, and offers good access to the rest of the peaks". "Great cottage, fantastic views and exhilarating walks". "Back again and just as good second time around". "We enjoyed every moment of our stay. Lovely cottage we shall definitely be back". "This is our second visit and we are already planning our next visit. We love it here". "Our 6th visit here and the dog’s third visit. Beautiful cottage, thanks very much, will come again".